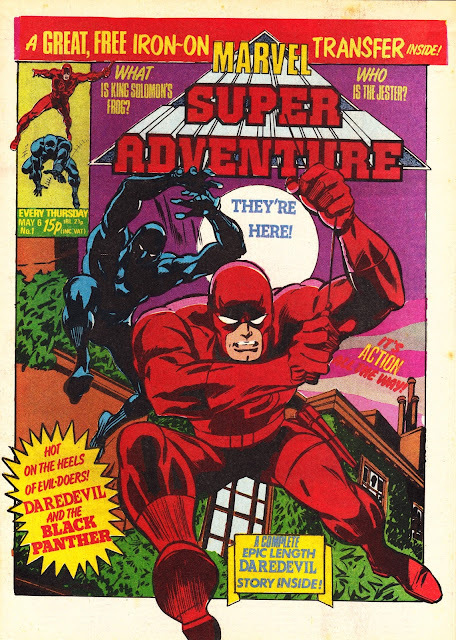 From May 1981: the first four issues of MARVEL UK's twenty-six week wonder MARVEL SUPER ADVENTURE. MSA was a departure from M-UK's recent weekly fare. It well and truly jettisoned Dez Skinn's pile-em-high policy of cramming as many strips as possible into every issue in favour of running just two. 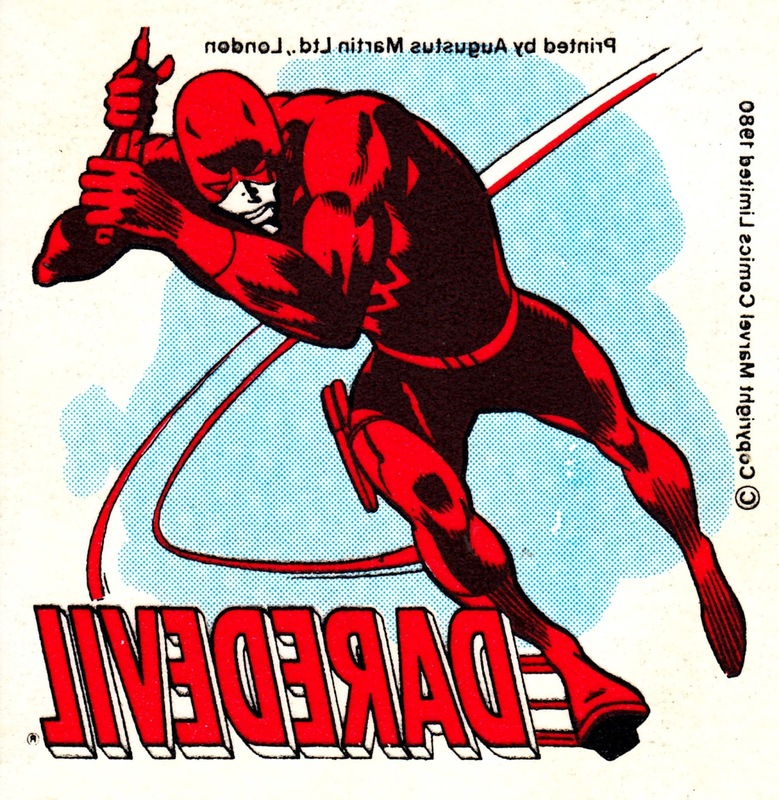 DAREDEVIL, late of SPIDER-MAN's weekly following the demise of MARVEL COMIC, was the main attraction and reprinted a whole US instalment every week. 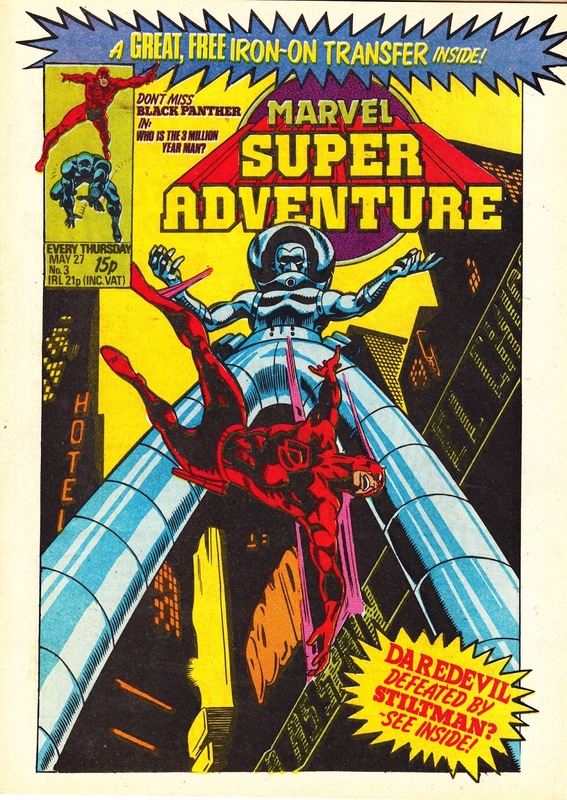 Just like the likes of THE COMPLETE FANTASTIC FOUR the previous decade, it seems that the Annex of Ideas hadn't really considered the long-term implications of burning through a month's worth of UK material every week. Maybe a lengthy run was never on the cards. The remaining pages were taken by shorter doses of Kirby's run on the BLACK PANTHER. 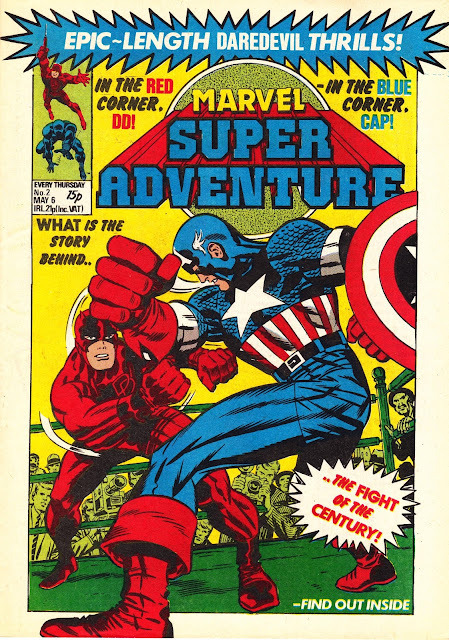 Possibly not one of Marvel's most bankable stars but a nice nod to pairing two of the Bullpen's less conventional heroes at a time when anti-heroes were still very much relegated to the margins of the black & white US magazines. Each of the first three issues were accompanied by loosely inserted t-shirt transfers although, typically, the second issue's cover neglected to even mention the freebie floating around inside. 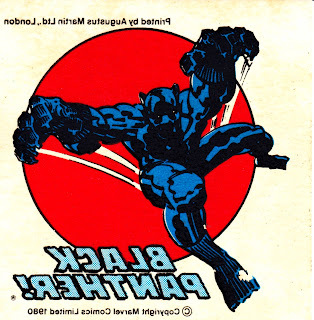 Marvel's notorious quality control even extended as far as publishing the first two issues with the same cover date (6 May) and then repeating the blunder on the next two issues (both dated 27 May). 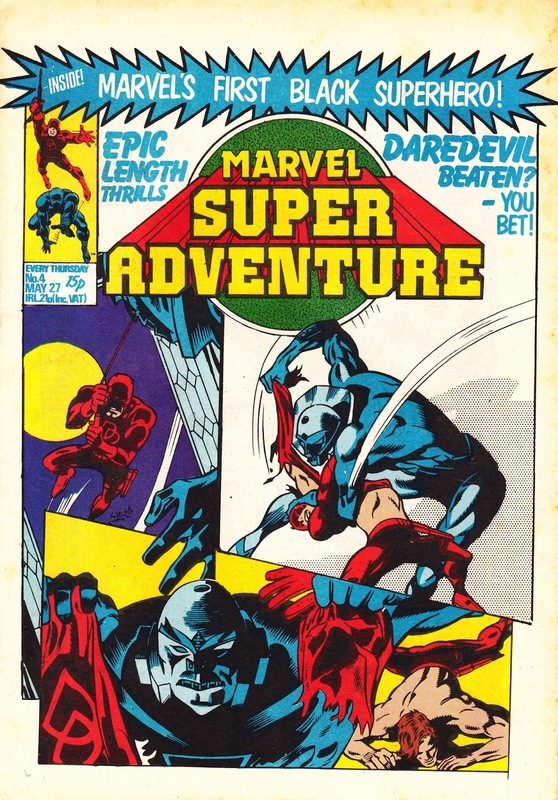 MSA fared better than its recently launched weekly companion MARVEL ACTION (with reprints of the Fantastic Four, Thor and Doctor Strange), which crashed after a mere fifteen weeks, but still expired before the end of the year. Both weeklies folded into the CAPTAIN AMERICA, although MSA's merger didn't even merit a mention on the cover of the first combined issue. 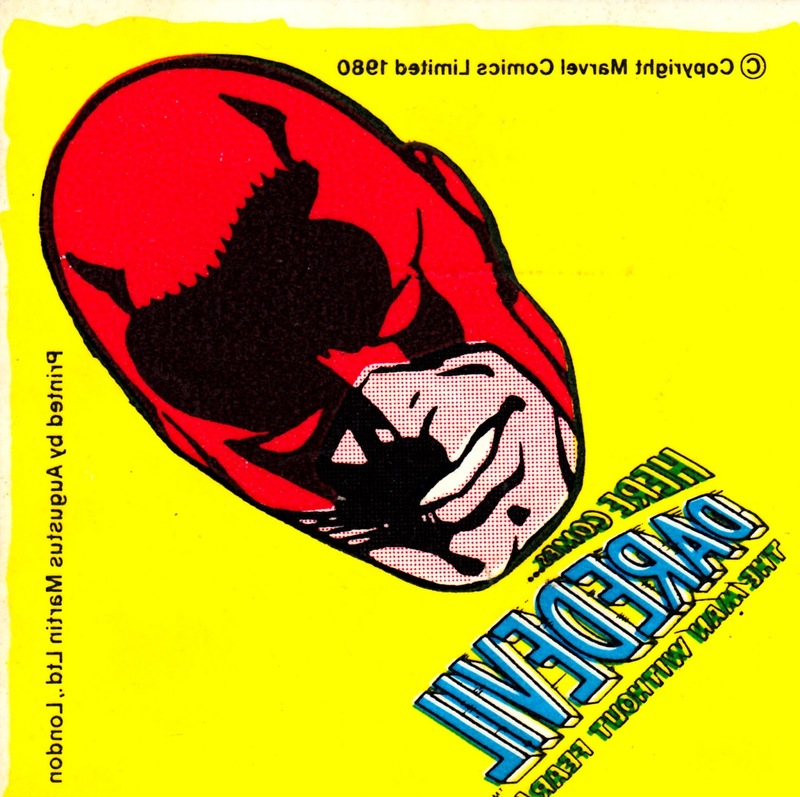 The title, but not the line-up, had been tested the previous year with a DEFENDERS-centric Winter Special.